Basically what you need is a backpack or carryall for storing the items you’ll need just before, during, and shortly after your move. Typically we’d suggest packing your laptop, cell phone, and their respective chargers. You should also include some basic toiletries such as deodorant, a toothbrush, toothpaste and some shower gel or soap. We’d also recommend spare clothing, including underwear, several pairs of socks and underwear, and something to sleep in. Your wallet, plus credit cards, ID card, driver’s permit, insurance documents, deposit money for your new home, medical records and anything else you feel might be important, should also be packed in this bag. You can never have enough boxes to pack your belongings into. While it might seem like a good idea to just assemble whatever boxes you can get your hands on, we’d suggest that you spend a small amount of money on a set of sturdy packing boxes – the sturdier the better. 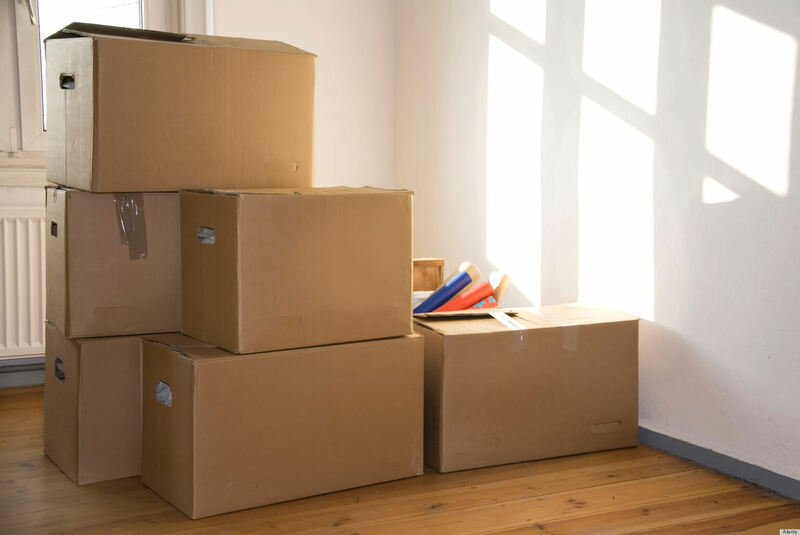 Buy far more boxes than you think you’ll need, because we can assure you that it’s always better to have spare boxes during the final stage of your packing than to be looking for some at the very last minute. Also have plenty of packing tape, labels, Sharpies and packing material (foam peanuts and Bubble Wrap) ready for action. You’ll be faced with two choices when packing everything you own into boxes. The first of these is to leave everything to the last minute, then cram anything you see into a box, wrap it in tape, and move on. The second, and more sensible, option is to sift through your possessions, selecting items you can dispose of in a yard sale, on Craigslist, or just throw out in the trash. We’re always amazed at just how much “junk” people spend time packing up, move to another city or state, and then dispose of once they get there. Also try to pack each room individually, labeling the boxes as you go along. You can remove a lot of the stress involved in relocating by planning the whole process out in advance. Now, this doesn’t mean approaching it with military precision, but establishing a timetable to work to makes a lot of sense. From our experience the people who experience the highest levels of stress and upset when relocating are those who didn’t plan the move in advance. Know what date you need to have all but the most essential personal items packed by, what date your gas, electricity and cable service will be disconnected, the date of your departure and then finally what date you’ll be sitting in your new home. Always allow for the fact that your timetable will go askew, delaying your move, your journey, or your arrival, by several hours, if not days. Lucky you, you’re moving to Sacramento, but have you told your family, friends, colleagues and future employer exactly where you’ll be living? You also need to make sure that your bank, cell phone company, doctor, insurance provider and your attorney know where to send you mail. The US Postal Service can usually take care of forwarding your mail, but it’s sensible to make sure any important documents are sent to your new address in Sacramento, especially in light of the potential for a porch pirate to take mail from your old address, and then attempt to steal your identity. Relocating to Sacramento doesn’t need to be stressful, and if you follow our list of tips we know you’ll agree.